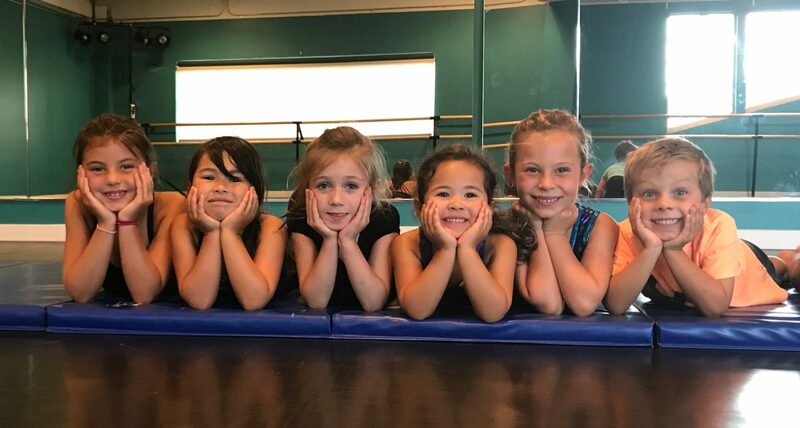 TumbleSpot offers parents a well-deserved night away from the kids – Drop them off with us for dinner, guided gym activities, movies & more! • FEE: $40.00 per student. $10 sibling discount applied for each additional child registered. 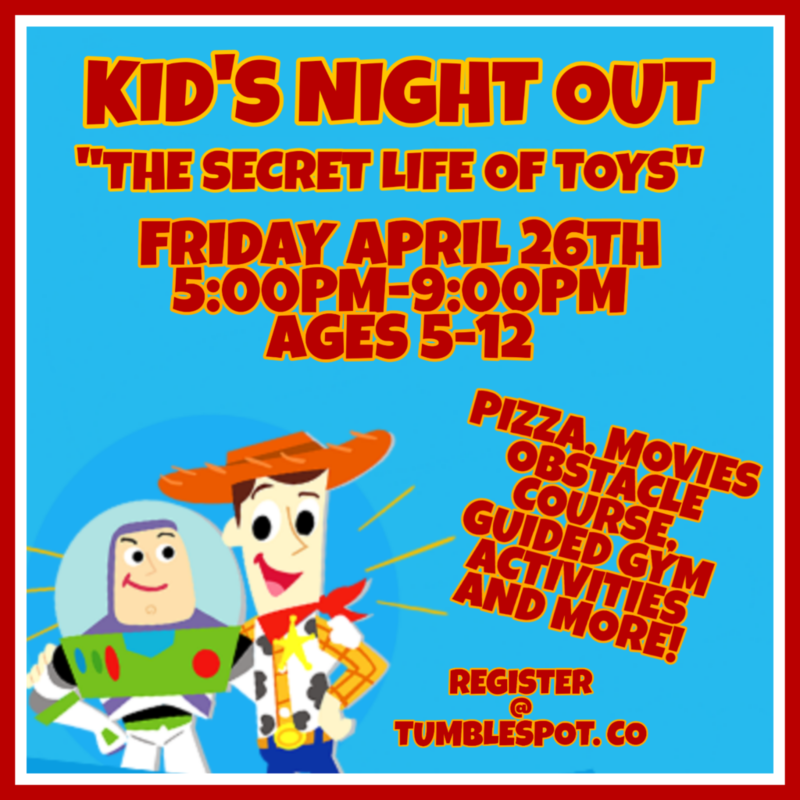 Pizza and veggies will be served from 6:00 – 6:30 PM. Students with food allergies should pack a dinner. If you arrive after 6:30 PM, be aware that dinner will already have been served. An age-appropriate movie will be shown at 7:30 PM. Students not wanting to watch the movie may engage in alternate, quiet activities during this time such as reading, board games, etc. Students may wear Gym Attire or Pajamas for this event. Leotards, t-shirts, tank tops, shorts, sweatpants, and leggings are appropriate. Please no dresses, skirts, jeans, or belts. • Fee must be paid in full before or at drop-off. 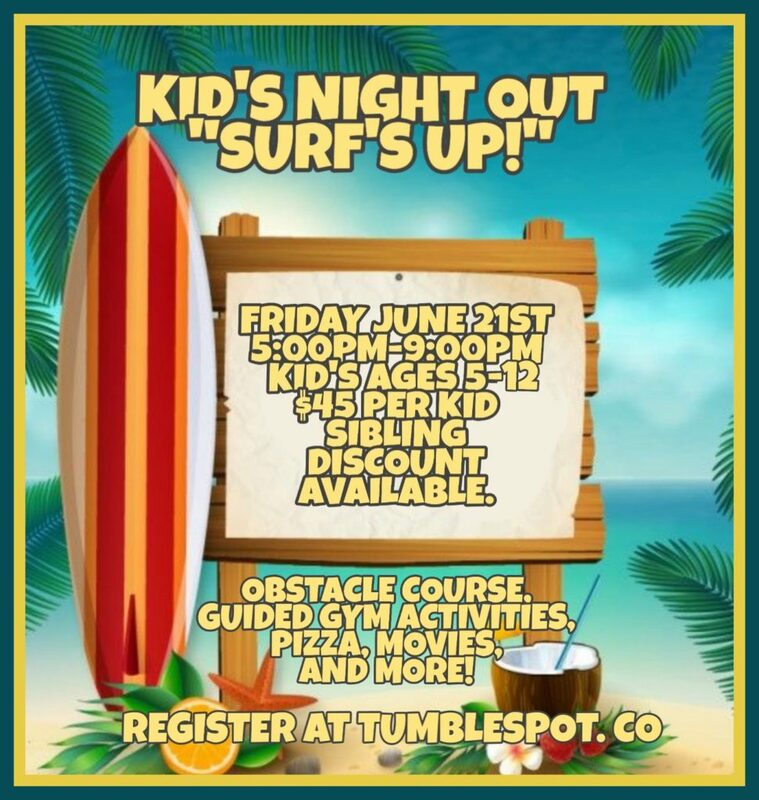 Register at www.tumblespot.co to reserve your spot. • You must cancel more than 24 hours in advance to receive a refund. Cancellations within 24 hours, or no shows the night of the event, will not be issued a refund. 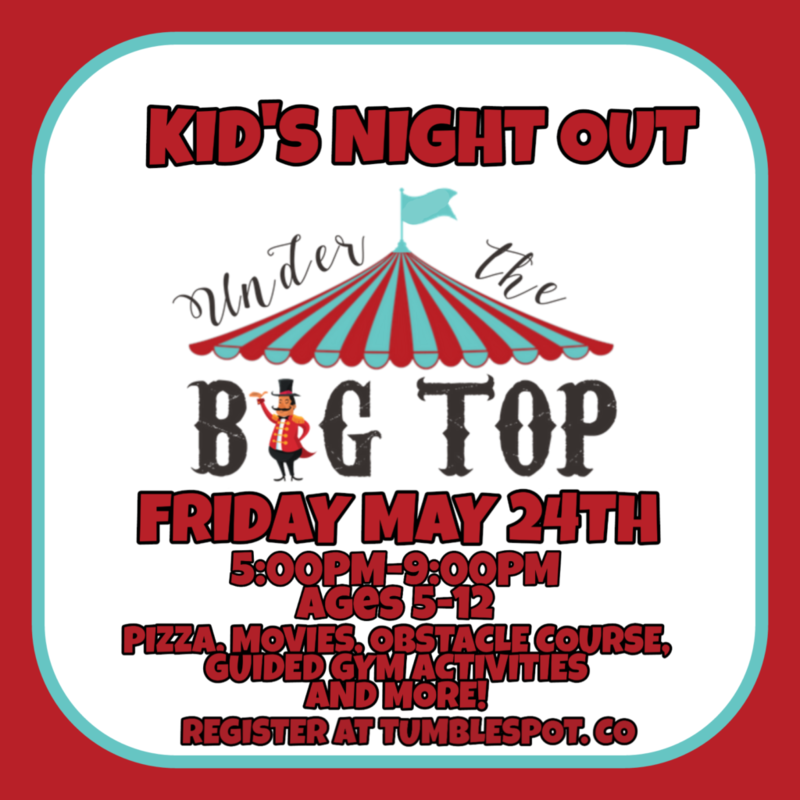 • Kid’s Night Out is for children ages 5 – 12 years old. Children of any other age must be approved prior to the night of the event. Please email KT@tumblespot.co to inquire. • Students may not be dropped off before 5:00 PM, and must be picked up promptly by 9:00 PM. A $10 fee will be charged for every 15 minutes parents are late for pick-up, to cover staff costs. • Misbehaving children will receive three warnings, after which a parent will be called and asked to pick up the child. • TumbleSpot may use your child’s photo to appear in promotional and educational material without identification. TumbleSpot uses social media outlets (Facebook/Instagram) that allow comments and “tagging” by users. 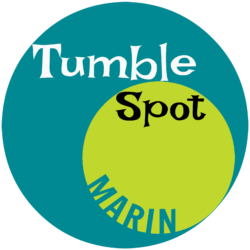 TumbleSpot is held harmless for any user comments or user “tagging” identifying your child. Upon written request, TumbleSpot will remove any comments or tagging identifying your child. • TumbleSpot does not tolerate any of the following and any child, or his/ her parent, family or friend, engaging in any of the following will result in the child’s dismissal, without refund: Physical aggression towards any other person; refusal to participate; inability to pay attention or focus; disruptive behavior; verbally abusive or threatening towards any other person; inability to stay in gym studio without parent; causes harm, or threatens to cause harm, to self, others or property of TumbleSpot or another; intentionally exposes a sick or contagious child or self to others; throws objects; takes or hides other’s belongings; violence; vandalism; threatening behavior (physical or emotional); sexual misconduct.